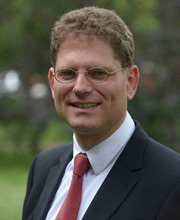 Markus K. Brunnermeier is the Edwards S. Sanford Professor at Princeton University. He is a faculty member of the Department of Economics and director of Princeton's Bendheim Center for Finance. He is also a research associate at NBER, CEPR, and CESifo. He won several prizes, among them Sloan Research Fellowship, Guggenheim Fellowship and the German Bernacer Prize. He is/was a member of several advisory groups, including to the IMF, the Federal Reserve of New York, the Bundesbank, the U.S. Congressional Budget Office and the European Systemic Risk Board. Brunnermeier was awarded his Ph.D. by the London School of Economics (LSE). His research focuses on international financial markets and the macroeconomy with special emphasis on bubbles, liquidity, financial and monetary price stability. His recent book is titled “The Euro and the Battle of Ideas”.